Slide Storage Rack is made of ABS which can hold 100 slides, recognizable through the numeric indexing. Spacing between the slots provide adequate backward & forward movement of slide for convenient recognition. The transparent cover provide excellent view of the slides stored inside. 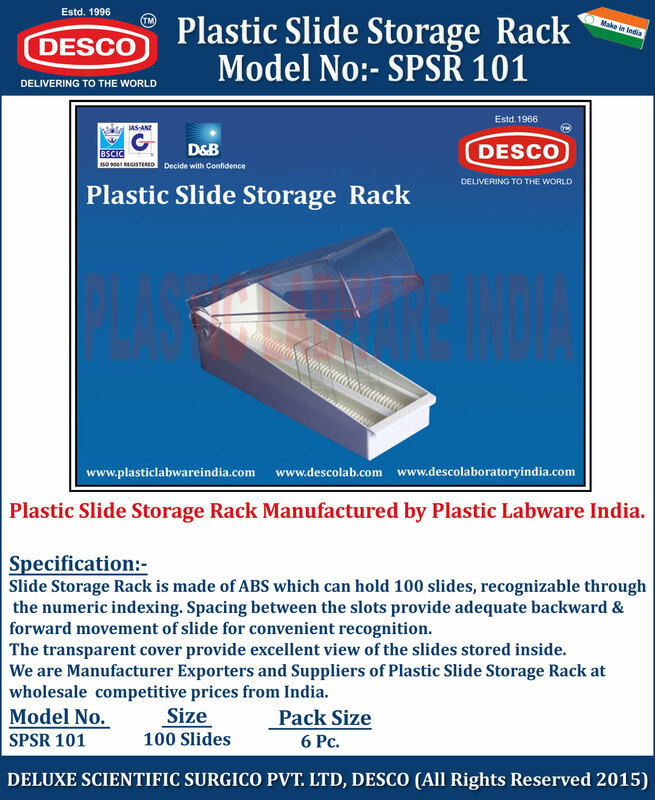 We are Manufacturer Exporters and Suppliers of Plastic Slide Storage Rack at wholesale competitive prices from India. SPSR 101 100 Slides 6 Pc.